Samsung is to launch a pared-down version of Samsung Pay which will make the mobile payments service available on all Android handsets. The Samsung Pay Mini app will support certain features of the original platform, including membership, lifestyle, transportation and online payments, and will be available first in South Korea from the first quarter of 2017, the company says. 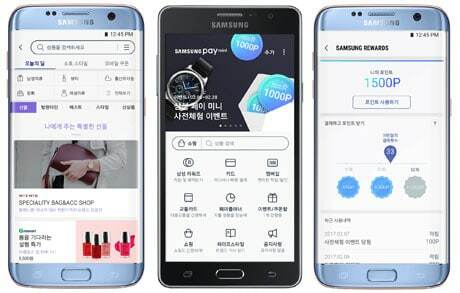 Samsung Pay Mini will also include a Shopping feature that will let customers log in to a shopping mall of supporting retailers to “buy the desired product anytime and anywhere easily”. It will also include a Samsung Rewards feature that will allow customers to earn points when making purchases. The company will begin testing the service in collaboration with Samsung Card on February 6 2017. Those with a Samsung Card in South Korea will be able to test out the app as a trial version available through the Google Play Store. Reports that Samsung was planning to launch the Samsung Pay Mini app emerged in May 2016, and it was expected to go live in South Korea in June last year. NFC is a wonderful technology for enabling mobile payments. However, it is not necessary. For example, Samsung Pay also supports MST. Other schemes use optical, bar codes and QR tags, or even SMS or a four digit key-entered code. The mobile is an incredibly powerful mechanism. Think cardless, contactless, and (credit card account) numberless.